Blizzard said they’d be announcing a new game at PAX East which led to many questions. Are they finally going to talk about their new MMO? Maybe Starcraft: Ghost? The answer is none of them unless you guessed ‘free-to-play collectible card game’. You’ll be able to choose from nine Warcraft heroes for your deck. There’ll be plenty of cards at launch with 300 but you’ll have to either buy or earn packs through the game. Blizzard haven’t announced pricing but at their panel, did say somewhere around a dollar. Blizzard even went to the trouble of developing a way to open your cards digitally similar to your excitement of opening a new pack of Magic cards. Rare cards will glow when obtained which is pretty cool sounding. You’ll also be able to create your own cards by combining powers of other cards. It’ll primarily be 1-on-1 play for the title. 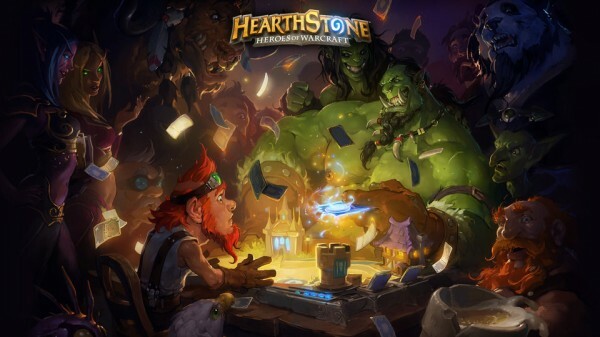 Hearthsone will be out on PC and Mac and later on the iPad. Blizzard said the release would be ‘soon’ so at least in 2013, but there’ll be a beta this summer. It’s playable at PAX East currently so go check it out while you get a hug from Max?